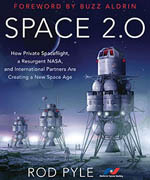 The scenario depicted in this hard science fiction novel is similar to Robert Zubrin’s Mars Direct plan for missions to Mars. It is a gripping read of survival by the wits and snarky attitude of a lone astronaut abandoned on the red planet. There is quite a bit of engineering, math and hard science involved, with no aliens or other fantastical elements. The action is non-stop and is reminiscent of Apollo 13, Gravity and Robinson Crusoe all rolled into one. 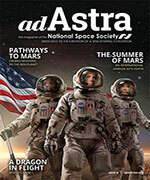 The third expedition to Mars has landed, and the six astronauts are in a habitat during ‘Day 6′ of a 31-day stay. A violent dust storm erupts outside that threatens to tip the astronauts’ Mars Ascent Vehicle (MAV). When the crew heads for the MAV, Mark Watney, the botanist and mechanical engineer, is impaled by a flying communications antenna and disappears into the maelstrom. His suit registers zero pressure and no vital signs to the others. After a frantic search in near zero visibility while the MAV teeters, his fellow crewmates must abandon locating his body and launch their return craft. Rendezvousing with their ion driven ship Hermes that is in Mars orbit, the remaining crew of the third mission starts back for Earth. However, Mark has survived and manages to crawl back to the Mars habitat. He patches himself up, but he is cut off from all human contact. The remaining food and water supplies were designed to last a month for six people. Unfortunately, the next mission is not due for four years and is planned to land 3,200 kilometers away where another MAV is busily making only enough ascent fuel to achieve Mars orbit. The two ground transport vehicles that were left behind by the crew are run on rechargeable batteries and have very limited range. Thus begins Mark’s odyssey of survival. The only item with sufficient reserves is oxygen that is extracted from the Martian CO2 atmosphere. He must first figure out how to make additional food from his meager stores and water from chemical processes. He must scavenge the transports, solar cells and spacesuits left behind to build survival means. Without any method of communicating with Earth for advice, he must use his engineering and botanical skills to create solutions to multiple problems that threaten to kill him either immediately or in a few months. Meanwhile, back on Earth, a satellite communications specialist scans photos taken of the Martian surface and notices that one of the transports has moved. She notifies the director of Mars operations, who must decide whether to notify the returning crew of the Hermes that they have abandoned their crewmate to almost certain death. It is unclear whether they would be better or worse off by being left in the dark, since they are too far from Mars to perform a rescue. NASA teams are put in place to create emergency scenarios. The questions are riveting. Can a supply rocket reach Mark Watney to provide additional food and water before he starves? Can the teams redesign the next mission’s lander to pick up the lost astronaut and then hop across the intervening 3,200 kilometers to the ascent vehicle that is located there? Should the engineers skip critical tests of backup systems in order to launch a rescue craft on time? Is it better to go with a plan that has a low chance of success but risks only Watney on Mars, or a plan with a high rate of success but risks the lives of six? I found this novel very hard to put down, and it kept me up late reading on multiple occasions. I constantly wanted to find out what would happen next. Some of the joy of the novel is the realistic yet unexpected dangers to Watney and his ingenious solutions, such as how to decide which way to drive to avoid a dust storm that looks the same in all directions. And, although the abandoned astronaut exercises extreme care and forethought, accidents happen that are surprising yet rooted in hard science. The tension is periodically relieved through Watney’s log entry musings and dry humor regarding his situation. 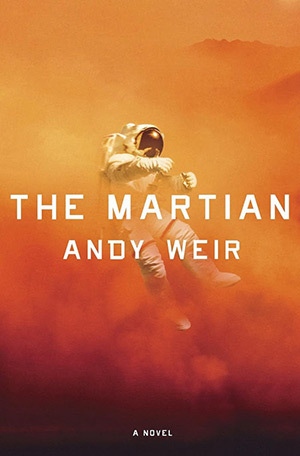 Be warned, the novel is full of f-bombs and scatological references as Mark Watney and others curse deteriorating situations, so this novel is not for younger readers or those who are offended by such verbiage. However, if you can get past that, it is one of the most exciting hard SF novels I have read in a very long time. © 2014 Robert A. Lee.